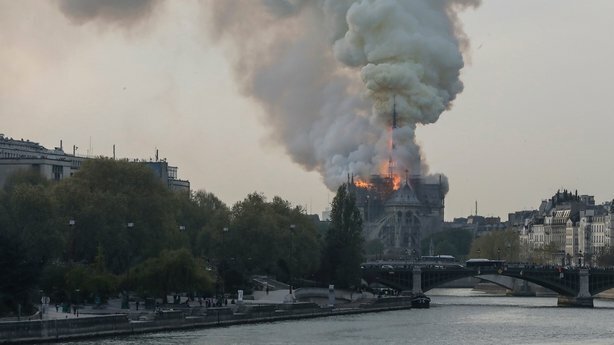 Paris firefighters are trying to control the flames. The French Gothic cathedral was constructed between 800 and 900 years ago mostly between 1160 and 1260. The blaze then spread and enveloped a large portion of the roof.